Paulina from lilbitsofchic.com here, sharing this event where I'll be celebrating my FIRST Mother's Day! Please join me at the new Kendra Scott in Westfield UTC this Thursday May 3rd from 6-8pm to celebrate yourself if you're a mom, or a mom in your life orrrr just to hang out with me! There will be sips, sweets, and a 15% off discount! If you can't make it, you can STILL take advantage of the discount by ordering by phone during the event at (858) 346-4008! Kendra Scott UTC x Lil bits of Chic Mother's Day Party! 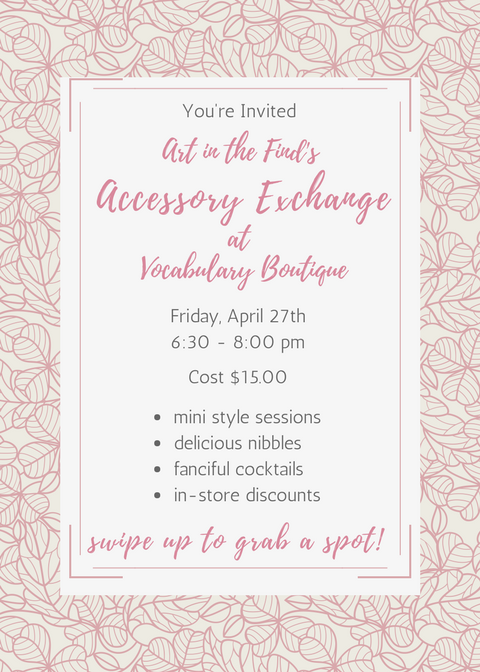 Join Conni from Art in the Find at Vocabulary Boutique for a fabulous evening filled with: mini style sessions delicious nibbles fanciful cocktails in-store discounts a fabulous accessory exchange giveaways galore! up to two gently used accessories (valued at $25 or more) to swap during the event. 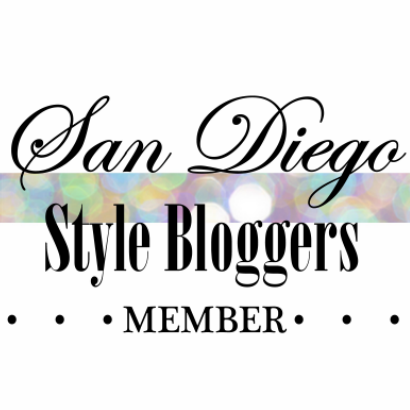 a style question, conundrum, or piece of clothing that you need help styling during your mini style session!